BRYAN EATON/Staff photo. Cashman School in Amesbury held their own Olympic Games with opening ceremonies on Friday morning. 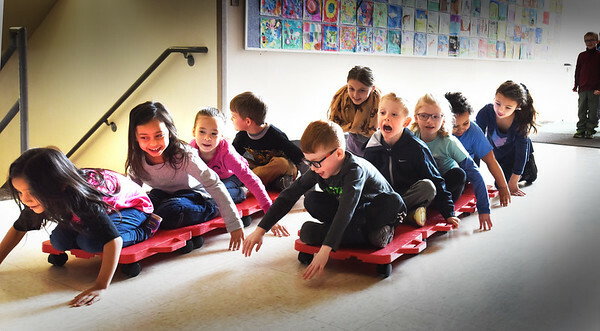 Here, one class does the bobsled, taking turns at other events as the snowflake toss, floor hockey and curling.